Apple CEO Tim Cook opposed a court order to hack into the phone of San Bernardino shooter Syed Farook in order to aid FBI investigation. 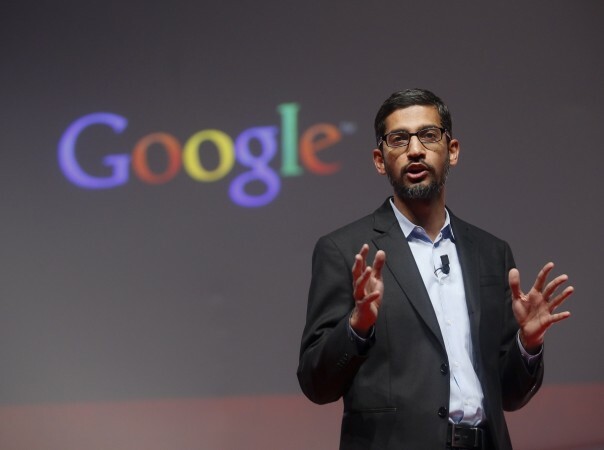 Google CEO Sundar Pichai came out in support of Apple CEO Tim Cook's opposition to a court order to hack into the phone of San Bernardino shooter Syed Farook in order to aid FBI investigation. Cook on Wednesday had cited data security and protection of users' information against hackers as reasons for declining an order by a US federal judge that had asked the phone company to provide "reasonable technical assistance" to the FBI, including disabling its auto-erase function and recovering the iPhone's passcode. FBI is seeking to access data on the iPhone 5C that belonged to Syed Rizwan Farook, who, along with his wife Tashfeen Malik, had gunned down 14 people in a December attack in San Bernardino in California. Pichai called the order a "troubling precedent", while former National Security Agency contractor Edward Snowden said it was "the most important tech case in a decade." "We know that law enforcement and intelligence agencies face significant challenges in protecting the public against crime and terrorism ... we give law enforcement access to data based on valid legal orders. But that's wholly different than requiring companies to enable hacking of customer devices and data," Pichai said on Twitter Wednesday. "Could be a troubling precedent." Snowden also took to Twitter to hit out at the FBI for "creating a world where citizens rely on Apple to defend their rights, rather than the other way around." Cook had emphasised on the importance of encryption in a statement on Wednesday and said Apple will not build a "backdoor" to the iPhone. Read what Tim Cook said on court order to hack into iPhone. "While we believe the FBI's intentions are good, it would be wrong for the government to force us to build a backdoor into our products. And ultimately, we fear that this demand would undermine the very freedoms and liberty our government is meant to protect," Cook said.